Mentioned today on Classroom Displays, Mrs. Pancake is a fantastic site of "Doodads", also know as posters, borders, flashcards, work sheets and paper crafts. 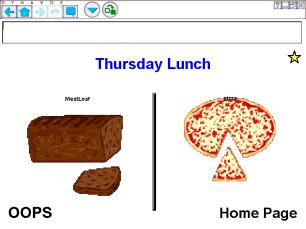 I just uploaded about a dozen boards, including games, recipes and holiday activities to Adapted Learning. My username is teechkidz if you want to search by person. Membership is free, try it out now. In case you have missed the announcements Adapted Learning is the new sharing site for Boardmaker, Boardmaker Plus and Boardmaker SDP by Mayer-Johnson. 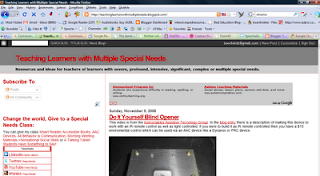 I can't remember ever sharing a non-special education related site before, but I thought I would share this one. You may already know about it. It is Phone My Phone and it does what it says, calls your telephone. Perhaps my biggest flaw is my ability to loose things. My keys, wallet, and cell phone top the list of things I loose. It is a long standing, running joke at school about how I loose things. My father claims I have adult ADD, my sister used to say that I used up all of my brain on useless knowledge and there was no room left for things like remembering where my keys or phone were and it is possible that Saint Anthony is sick of helping me out. Whatever the reason I use Phone My Phone fairly frequently. I wish it could make my keys and wallet ring. These will be added to Alternate Format Books and Stories. Thanks to Larry Ferlazzo (who got the link from Langwitches) and a poster on QIAT for the links. The people who make post-its (also called stickies), 3M, have a new product called Post-It Pockets. The minute3 I saw them I had a dozen ideas about how to use them in the classroom. They come in letter, bill, receipt size (9 in. X 12 in. ; 5 1/2 in. X 9 in. ; and 4 in. X 9 in.). 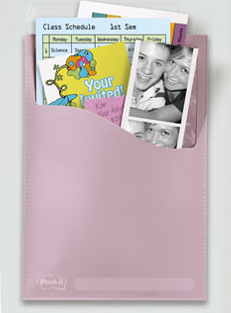 Post-it pockets are supposed to be available at Target, Office Max. 3M.com and other places post-its are sold. Ink. Santa Claus, we are always out of ink. I am not even exaggerating, we are seriously always out of ink. We would like some ink for our printers in our stockings. Individual student equipment. 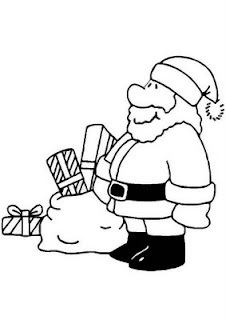 Santa, I know you will be visiting my students and I know that you can see what they need, but that youngster who needs the wheelchair - sooner would be better than later. The same is true for the kiddo who needs new hearing aids, and new glasses and the learner who needs wheelchair adjustments. If you wouldn't mind those things would be awesome. There is also that child who could really use an Easy Stand (a chair/desk that turns into a stander/desk) and a high tech AAC device. 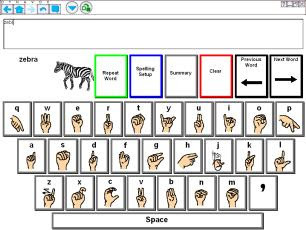 Oh and if you are really in the mood for some magic, what about a solution to that one student's AAC access issues? What a dream come true those would be. Interactive whiteboard. Oh, Santa, we could do so much with an IWB! We had a projector this year and it is almost the best thing ever, but an IWB would top even that. The iTalk2 is now out with levels and our old one is pretty beat up, we could use a new one. A couple of packs of talking symbols notepads to go with it would be fabulous too. A subscription to the Brain Pop Jr. website. Now that we have a working LCD projector Brain Pop Jr. would be a great way to add to its value. More hours in the day. I know, Santa, you can't do this one, but if you could it would be marvelous! We would never have to wait for things to be laminated or cut out or downloaded and moved to different computers, because with more hours in the day it would all be done! P.S. On a personal note, my Blackberry is broken AGAIN and my car needs a tune up. I never object to gift cards for gas or coffee either. 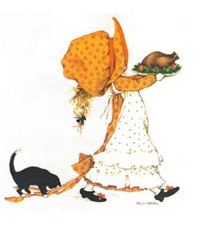 When this blog made 200,000 visitors I wrote a note to my childhood buddy, Christine Desrosiers, now of San Francisco, who just happens to have an art degree. I was remembering a comic she drew of me in my wheelchair when I shattered my tib/fib in 1997 and thinking that something like that might be great for a logo for my blog. She rose to the challenge and then some. For now the new logo is over there in the top of the sidebar while we work out the kinks of getting it into the header. Isn't it awesome? Would anyone be interested in some tee shirts or bags or anything with the logo and a snappy or sappy saying? The iTalk2 Communicator by Ablenet. This is a two sided voice output switch (which is now available with levels) that is durable (ours has been dropped and tossed) and has many, many uses. IN our room the most common use is yes/no, but we also use it for more/done, few/many, big/little, first/next, joke beginning/joke punchline, request/thank you, rude noise recording/excuse me, poll question/thank you, etc. The Powerlink by Ablenet. This is a power interrupter for "plug in" power. Bascially it allows you to plug in the Powerlink to the wall, a lower wattage appliance (no microwaves) and a switch to the Powerlink and then students have several different ways to control the appliance (direct, timed, latch). Universal Mount from Ablenet, this is the best mount for switches. For the record most companies that sell mounts sell this exact same thing, but you need to make sure it is the Manfrotto Universal Arm with the knob NOT the lever. Trust me people, you do NOT want the lever. Seriously. Ask anyone who has been in the field longer than eight or ten years. As long as you are getting the Manfrotto Universal Arm with the Knob it doesn't matter where you order it from. In fact I wrote a post about how to get it cheaper via Amazon.com because it is really a photography mount, or go with Ebay. But, Ablenet has the best quality mounting plates, theirs are metal, not plastic and have screw holes in case you do not want to go the velcro route. They also have a better return policy than most, except if you get the knob and not that stinking lever then that doesn't matter much. The Don Johnston Switch Interface Pro is, as far as I know, the only switch interface that moves from Mac to PC, doesn't require software, isn't proprietary, supports two switch scanning, supports non-special education/non-commerical software (like PowerPoint, online switch activities and downloads fron Oatsoft) and doesn't (in my experience) break. (This one time at band camp, I mean at student teaching, I had a switch interface literally go up in smoke, IN MY HAND!). I am also tempted to add the Step-by-Step, but I actually don't use it that much because my learners mostly have their own higher tech devices or the ability to use something that allow more choices. That makes me want to add higher tech devices like the Go Talk 9+, Go Talk 20+, the Dynavox Palmtop, Four and V series, and the Chat PC series, but generally those are for individual students and not a class or group. So there you have it, my favorites! Do you support a Dynavox V/Vmax user? If you do you should head right over to the Dynavox Sharing area and download any of their great games and activities. There seems to be something for every age and ability level. Barrie over at One Switch reminded me of Kneebouncers a website I have had listed on this site since I opened it. Kneebouncers has great single switch/cause and effect games for EI, pre-K and maybe K kiddos. Set your switch to "space bar". Make it switch accessible by recording, putting the mouse pointer over "listen" and setting a switch to "mouse click". Also Vocaroo is a very cool and FREE way to send voice notes via e-mail and post voice recording to the internet. Check it out. Some of the ways you could use a Vocaroo in the classroom would be to record a note to a parent who does not read well and send it via e-mail, record a student reading or speaking and send to a parent or even yourself for data collection, and allow non-writing students to send voice e-mails to each other. Can you think of any other ideas? Today during community based education one of my students decided not to get off the bus at McDonald's. This was likely due to a lack of explanation on my part as McDonald's is a favorite place. We typically make only two stops in the community and McDonald's was a third, surprise stop because we had a little extra time (although only enough extra time for take out). This student needs to know the schedule and routine to be able to cope well. Thus when my question, "Do you want to go into McDonald's?" was met with a firm, "No!" I let it go, "That's fine. We can wait on the bus." So we waited. About ten minutes passed (apparently there was a line) and the student began saying, "Hi! Hi! Hi! Hi! Hi!..." I again asked, "Hi. 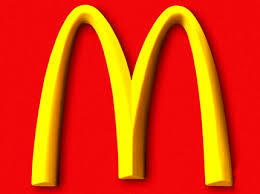 Do you want to go into McDonald's?" This time the non-verbal "yes" was apparent from the sheer joy and excitement on the her face. We headed inside and while in line practiced ordering on the Dynavox. The student was literally jumping up and down by the time we were asked, "May I take your order?" Click - "I would like a chicken sandwich please?" "Really?" I asked, raising my eyebrows, since a chicken sandwich has never come up in practicing. Click - "I want a hamburger please." Click - "I want chicken nuggets." Click - "Could I please have a cheeseburger?" "Hold on," I said, "pick one thing." The clerk looked at me and I nodded. "Do you want anything else?" Click - "I would like onion rings instead of fries." "Sorry, buddy, you can't get onion rings here," I said. Click - "May I have a small order of fries?" The clerk glanced at me again and I nodded slightly. Click - "I want milk instead of soda." "Sorry, buddy, we have plenty of milk at school for you." Click - "I want a medium diet coke." I laughed. "And you have three half full diet cokes in the fridge in the classroom!" The clerk smiles and asks if we just want a hamburger and small fries. I nod and assist my student in handing over some cash. My student jumps up and down a few times and grins. Then the clerk says, "I have never seen anything like that before. That is how she talks?" "She can hear, but she can't talk?" the clerk asks handing her the food and change. "Yes, she uses that to talk, but just like you and me she doesn't always know what she wants to say." I reply. Click - "going to hello and goodbye page"
Click - "See you later." Sometimes McDonald's food is more important than disability awareness at McDonald's. 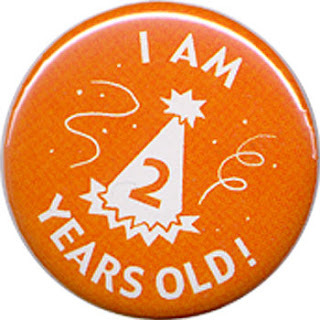 Thanks to Paul Hamilton's kind comment in the last post I was reminded that today is the second birthday of this blog. 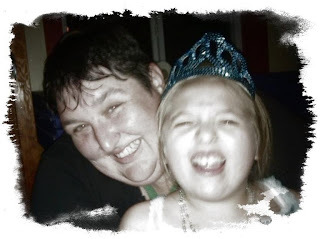 Happy birthday to you, happy birthday to you, happy birthday dear teachinglearnerswithmultiplespecialneeds.blogspot, happy birthday to youuuuuuuuu! Seriously if I had know this blog was going to take off I would have picked a shorter web address! As a birthday gift (ok,ok it is totally unrelated) the Bill and Melinda Gates Foundation has donated half the cost of four of my Donors Choose grants that I was certain to have expire without any funding. The catch? Now I need to raise the money to pay for the other half of the grants! I have much less of a problem watching a totally unfunded grant expire than watching a partially funded grant expire. Feeling generous? Feeling thankful that teachers are unlikely to loose jobs overseas or to be downsized? Then feel free to donate to a grant above. Consider it a birthday gift! Really I am only getting off easily on 2/3. I check my Google and Technocrati listings about twice a month (find yourself) and because I have spent much of the past two years in an internet free school I frequently use my own blog via my Blackberry to get resources, so I know how my blog looks on a Smart Phone (mobilize me). That middle one though, greatest hits, that's a tough one. What are my greatest hits? Certainly my compilation of free Boardmaker Boards (which will be much less important now that Adapted Learning is open) and, of course some of my other "list" posts (freebies, special needs software, mouting systems). Other than that could regular readers take a moment and mention what posts you would put in my top ten (or even top two)? Could new readers tell me what sent you here in the first place? This just in from Mayer-Johnson. The new site opens in about an hour! Pittsburgh, PA – November 18, 2008 – Mayer-Johnson, developer of innovative software products and symbols designed to help special needs students learn, announces the launch of AdaptedLearning.com (www.adaptedlearning.com). 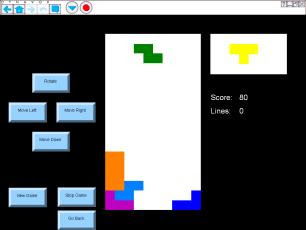 This free resource provides a place to find and share adapted curriculum created with the company’s popular Boardmaker Software Family products. It also provides online community functions as well as feature articles and expert tips that meet the needs of the spectrum of Boardmaker users. Developed to provide better symbol-enhanced learning tools and make it easier for special educators and parents to adapt curriculum to ensure accessibility for all students, the website provides resources and tools that allow students with special needs to learn more effectively and succeed academically. Over 100,000 special education professionals and parents have come to rely upon the Boardmaker Software Family of products to help children challenged by significant speech, language and learning disabilities achieve academically and socially. AdaptedLearning.com stretches the reach of the products by creating an international community of Boardmaker enthusiasts. Training videos featuring application strategies to enhance student learning and communication, and show how to create tools that make it easier for children with special needs to succeed. Information organized by subject area in the News & Views section of the site ensures that members quickly locate the resources they are seeking. New Boardmaker users will find the Getting Started articles helpful as they experience all that the software has to offer. The Classroom Implementation area provides application ideas so that members can apply newly acquired skills and discover new ways to use previously learned skills. A resource for parents, the Home Connection provides information to help families support the child’s education and communication journeys in the home and in community settings. Find success stories and case studies that provide information and inspiration in the Results area. To register for this new web resource, visit www.AdaptedLearning.com. 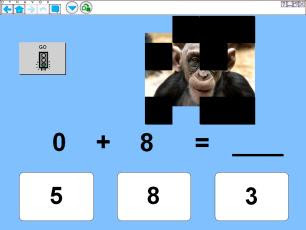 Mayer-Johnson is the developer of the innovative software products and symbols designed to enhance the learning process for special needs students allowing them to achieve their full academic potential. 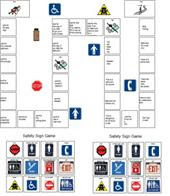 In addition to the company’s flagship products, Picture Communication Symbols (PCS), a comprehensive symbol set used for communication displays and instructional purposes, the Boardmaker Software Family, which provides a flexible platform on which to create interactive lessons and learning tools, and Speaking Dynamically Pro, a dynamic communication and instructional software program, the Mayer-Johnson product portfolio includes a wide range of materials for professionals working with people with disabilities. For more information about Mayer-Johnson, visit www.mayer-johnson.com. P.S. I tried my hardest to embed this into my blog, but the Jing screen recording would not load. I can't decide if these are creepy or cool. Find them at Fingerspelling Blocks. Labels: ASL blocks, sign language, toys. I have, for now, eliminated the lists of resources that also have a link to their own page. There are a few lists I have not moved to their own posts yet and they are way down at the bottom of the sidebar. I will make them a home this weekend. I also used a tutorial to move the actual list of blogs I read daily (or as often as they come out) from Google Reader to my sidebar. It actually appears more cluttered to me because it is not alphabetized but in the order I subscribed to the blogs. That's all I can handle tonight though. CommuniPix is a company that allows users to upload photographs which are then turned into photo symbol magnets. Much like the picture communication symbol magnets from Barker Creek these magnets are perfect for PECS, magnetic communication boards and creating a language rich environment. A basic deck is also available for those who want to order something off-the-shelf. The website includes suggestions for symbols, placing and carrying photo magnets (such as magnetic paint primer and magnetic strips) and tips for photographing symbols. Unrelated, but interesting, did you know you can also get dry erase paint, glow-in-the-dark paint and chalkboard paint? I'm a bit behind with the 30 Days Challenges (IEPS and quarterlies will do that to you). Day eight was to comment on other peoples blogs, which I do frequently. Day nine was to switch your RSS (Really Simple Syndication) - the feed that allows people to look at favorite blogs in a reader like Google Reader) to Feedburner. 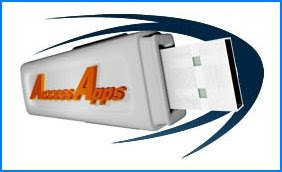 I am not a fan of Feedburner because it is a blogger first application, i.e. it puts the needs of the blogger (statistics) before the needs of the reader (in my case assessbility). Feedburner reformats blogs to met their standards, resizing images, moving images around, changing where the breaks are in writing, etc. I work hard to make my site more accessible and sometimes Feedburner undoes that. However in an effort to show an open mind and a commitment to the 30 Day challenge I have changed over to Feedburner for at least one month. Please comment whether you like it or not it if you regularly read this in a reader. 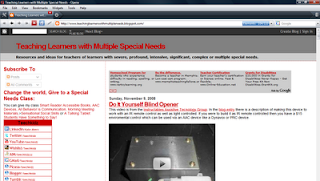 This video is from the Instructables Assistive Tecnology Group. In the blog entry there is a description of making this device to work with an IR remote control as well as light controlled. If you were to build it as IR remote controlled then you have a $15 enviromental control which can be used via an AAC device like a Dynavox or PRC device. This resource was shared on the TEAL listserv today. Called Pete's Stuff, it is some exciting Power Point based Sensory Stories for people with disabilities. The pages of the stories can be turned with a single switch and the stories are age appropriate for older learners and, in some cases, disgusting enough to catch the interest of hard-to-motivate teens. Say-It-With-Symbols is owned and run by the parent of a child with significant disabilities. Today's challenge is to invite a guest blogger. I have had three guest blog posts here on TLWMSN, but I'd say I am up for the challenge of inviting another one. Stay tuned while I locate someone willing. Anyone interested? How about you AAC/AT/Special Needs Software company folks, care to write about something new coming to the market? How about a student teacher, want to write about how it is to start out in this field? How about a parent? Comment or e-mail if you are interested. Today one of my students, who has been in my class for about ten weeks, starting using an AMDI Tech/Speak, not only that but the student started using it well, very well. This kiddo is a shining example that the right classroom, with the right supports and the right behavioral intervention can lead to unbelievable possibility. The student has never had a consistent communicative intervention, various low and moderate technology interventions have been tried and abandoned. Prestigious communication clinics contradict themselves twice a year on what to do next. The last recommendation was for a key chain based picture card system, yet this student needs the least possible movement in technology she uses. She needs for it to stay still no matter how often attempts are made to move it or throw it. 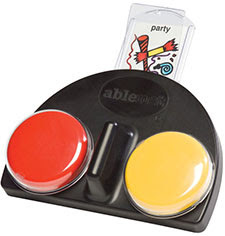 The ability to move something is so distracting for the student that a pull off Velcro symbol system, a communication book system or a key chain system would be a set up for failure. This student loves movement from cars to bikes to a gait trainer. This student loves to be in movement by walking, throwing, grabbing, and just wiggling. Appropriate positive behavior supports, use of teaching technique like seductive removal and movement could be a reward and not a distraction. In short, we make it so things don't move, so that when she moves if is a positive thing, not a negative thing. Thus we started with a static display communication board mounted permanently on the tray of the wheelchair and the table. Minimal teaching, with use of the prompt hierarchy and plenty of positive reinforcement lead to success. Then I decided to spend several hours restoring an old, abandoned Tech/Speak that has a tendency to play messages even if no one was to uching it. The Tech/Speak was long out of warranty and required hours of re-soldering wires and careful cleaning of the inside and outside of the device. Thankfully it worked and the device was restored to full usefulness. 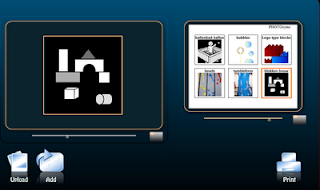 Overlays were created based on the student's static display boards (the Tech/Speak in the picture is from a link to Monroe Public Schools, not my classroom) and previous successful icon training. The Tech/Speak was mounted to the wheelchair tray to make it unmoveable (using straps and my all-time favorite assistive technology hardward store clamps). Finally, today, the student was able to access the Tech/Speak effectively, essentially the first time it was presented. Greetings, comments, responses, refusals, inquires - all no problem for this student with the "new" Tech/Speak. That's what happens when a TEAM of people, from teacher to paraprofessional to SLP see the possibility in students instead of the problems. 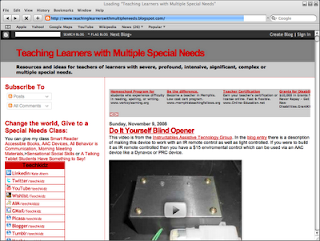 Teaching Learners with Multiple Special Needs Blog by Kate Ahern, M.S.Ed. is licensed under a Creative Commons Attribution-Noncommercial-No Derivative Works 3.0 United States License. Based on a work at www.teachinglearnerswithmultipleneeds.blogspot.com. 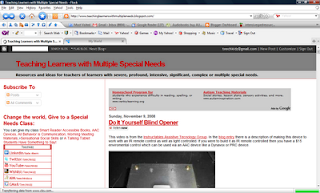 First of all a belated welcome to the small, but growing, world of special education blogging. I am writing my thank you note to you because you are joining me in using the power of the internet to provide resources to teachers, therapists and families of learners with special education needs. The speducation blogesphere is small, but it is mighty, and it is great to have you are new voices out there. Also thanks for linking to me. Not bad. More visitors that last month, 1/3 of visitors are returning visitors, 39% look at more than one page (that is what the 61% bounce rate is) and the average visitor stays about three minutes. I haven't really learned anything I didn't already know, so let me dig a little deeper into the stats. The browser stats tell me 65% of my visitors use Internet Explorer (come on people, time to switch to Firefox! ), 25% use Firefox and the rest use one of nine other browsers (I didn't know there were nine other browsers! This tells me I need to be sure to periodically checkout how my blog looks in Internet Explorer so I can maximize the experience of those visitors. Meanwhile 85% of my visitors use some flavor of Windows, 14% use a Mac and the rest use one of eight other browsers (flavors of Linux, iPod and iPhone and Blackberry to name a few). Thus I need to check in with some of my Mac users and make sure the site is working for them the way it should (feel free to comment and let me know). Nearly all of my visitors have their browsers set up in English, but I have visitors with browsers set to six other languages as well. Additionally my visitors come from 103 countries and territories, but most are from the USA, Canada, the UK and Australia (no surprise there, given I write in English). Perhaps I need to spent more time writing about special education in other countries to make my blog as well rounded as my visitors. Vistors to the site came from 306 different sources. Most visitors 60% come to the site after using a search engine, but quite a few come directly by typing in the address or using a bookmark. The rest come through other blogs, chat groups, listservs, social bookmarking and e-mail sites. (I have noticed a huge spike in visitors everytime someone posts my site to a listserv like QIAT or the Boardmaker Group.) One interesting fact - more visitors come through an image search than a text search. I guess I better keep posting lots of images. So there you have it, I have playe din traffic!